Edgy, hard-core, and wildly imaginative, this new thriller from New York Times best-selling author John Twelve Hawks (The Traveler, The Dark River, The Golden City) features an assassin-narrator unlike anyone we've seen before, set in a present-day dystopia. Jacob Underwood is a contract employee of the Special Services Section, a shadow department in the faceless multinational corporation DBG. Jacob is not a businessman...he is a hired assassin...and his job is to neutralize problems deemed unacceptable by the corporation. Jacob is not like other employees, nor is he like other people. Suffering from Cotard's syndrome - a real condition that causes people to believe they are dead - Jacob perceives himself as nothing but a Shell with no emotion and no sense of right or wrong. 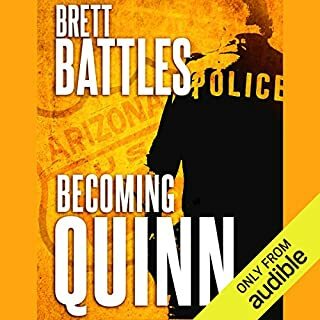 Emily Buchanan is a bright young second-year associate for DBG, and she has disappeared without a trace. Suspecting she may have stolen valuable information and a fortune from the company, Miss Holquist - Jacob's handler at DBG - assigns him the task of tracking her down and neutralizing her. Jacob's condition allows him to carry out assignments with ruthless, logical precision - devoid of guilt, fear, or dishonor. But as his new assignment draws him inside a labyrinthine network of dark dealings, Jacob finds himself up against something he is completely incapable of understanding. Spark is an ingenious and chilling vision of modern-day humanity under constant, invasive surveillance and a pulse-pounding game of cat and mouse. 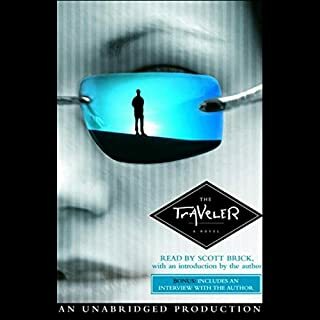 Scott Brick’s narration sets an eerie tone in this mystery thriller about a man, Jacob Underwood, who lives in a near-future dystopian world in which he makes a living as an assassin. After experiencing a near life ending motorcycle accident Underwood believes he is one of the living dead making him a cold, emotionless, systematic killer with only a “spark,” of humanity left in him. This detached life style, however, soon becomes tested when he is given the most challenging assignments of his career. The mysterious writer, who goes by the pseudonym, John Twelve Hawks and is the author of “The Fourth Realm,” seems to intertwine his own personal mistrust of governments and corporations into his writing but the end result is a rich and engaging story. This was kind of a bizarre book and if it weren't for Scott Brick's narration I probably wouldn't have stuck with it. This book starts out really good but then takes a turn to the bizarre and does drag a bit about 1/2 way through. Stick with it though, it really picks up momentum in the second half and everything starts to make sense. The reason for the protagonist's disorder and why and how he became who he was, betrayal by the most unexpected and how Jake deals with them. But the ending makes this sad story so worth it and ends on a really great cliffhanger with unfinished relationships and personal revelations that makes me believe there will be a sequel. If you're looking for something a little different then this is it! My spark and container enjoyed this book! 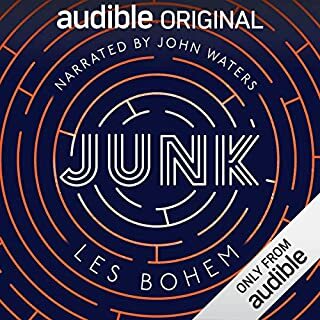 Would you consider the audio edition of Spark to be better than the print version? Never read it. Frankly, not sure why audible asks this question. What was one of the most memorable moments of Spark? The resolution is touching, and very unexpected. Many, and this is one of his finest. He fully captures the principle character, and brings him to life ( such as that is !) . Easily one of his best best. This is a fantastic offering. At times violent, and at times somewhat creepy, it is an adult book that is consistent with other offering from Twelve. 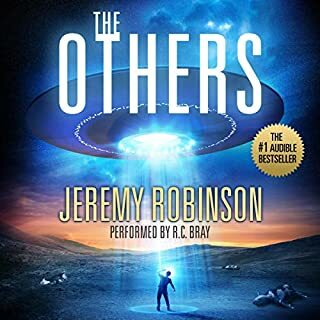 I highly recommend this book to ANY audible listener, not just scific/thriller fans. Would you listen to Spark again? Why? It actually took me a long time to finish it but when I picked it back up I coudn't put it down. I put it down originally because I was expecting a suspense story but it really wasn't. Listeners will like this if they like sci-fi/assassin stories with a little bit of heart. It definitely lit my spark and the end was worth the read.What a bleek world the main character lives in and such a broken man who doesn't realize he is broken. It was a slow burn throughout but the ending made it all worth my time. I listen to ALL of Scott Brick's performances, I would listen to him read the phone book and like it. There were a few and I don't like to give away anything to the listener. One thing that stood out was learning who he did care about. It said a lot about his character. Jacob Underwood is the perfect hit man. Cold detached, methodical, no emotion or feelings. He is given assignments and he completes them with obedient efficiency. But this assassin is different. Jacob was brain damaged in a motorcycle accident and suffers from Cotard's syndrome. He has no fear of death because he thinks he is already dead. The obedient Underwood is given the assignment of finding a bank employee who has disappeared with some important bank information. He is told to kill the employee. But for the first time, Jacob has other plans. Told in first person in a detached and clinical style this book works on many levels in telling of a near future world where many jobs are replaced by robots designed to act like humans and a lead character that acts like a robot. Surveillance and tracking is the norm and no one can escape being found. You see the world through the eyes of a man who cannot read emotions of other humans. He hates to be touched and is mistaken for being autistic. He refers to his body as a shell but at times you see a spark of humanity in Jacob. A hint of life that awakens in him and you can only hope he can break out of the world of the dead and join humanity. This was my first John Twelve Hawks. Before I chose it, I read reviews from his other books and reviews for this book. He is loved and has many loyal followers, so I was looking forward to Spark. The main character, Jacob Underwood, was the problem for me with this story. As the description says, he's a man with a brain injury that gives him perfect characteristics to be an assassin. He thinks he is dead so he feels nothing, no empathy, no sense of something being beautiful vs. being ugly, and no concept of the future. The problem with that premise is that there is no reason to care about him one way or the other as a reader. There is no character development because he doesn't have any personality. I wanted to care about Jacob, as he did is job, as he experienced the world around him, like traveling to foreign countries, and as he met the people he's supposed to murder, but there was nothing there. I didn't get to experience any feelings, any sensations, any change of heart because he has no feelings, senses, or heart. The whole premise is interesting, but it needed another facet introduced, like he needed a handler, or he needed to have ONE part of his conscience work, so there would be something I could latch on to and care about. The pace of the story, the action, the other characters, and the general idea of the book were good, but not enough to make it a great book. There were all sorts of deep, thought provoking ideas around are we alive, what defines "alive," and how are we different than non-sapient beings. But again, that wasn't enough to carry the book. Scott Brick as the narrator was a good choice, or maybe he was a bad choice, I couldn't tell. He did a nice job of interpreting the lack of emotion and sensations, but it got tedious. 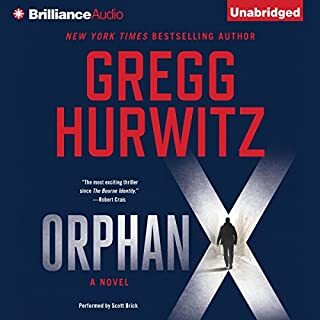 A couple times I wondered if I would like the story better if I read it instead of listened to it because the narrator really highlighted to stark-ness of the story. The ending set up the possibility of a continuation of the story. I will not be getting the sequel if one comes out. Bummer, I wanted to like it, but I do not recommend this book. Absolutely wonderful story about the human spirit and the forces that attempt to crush it. 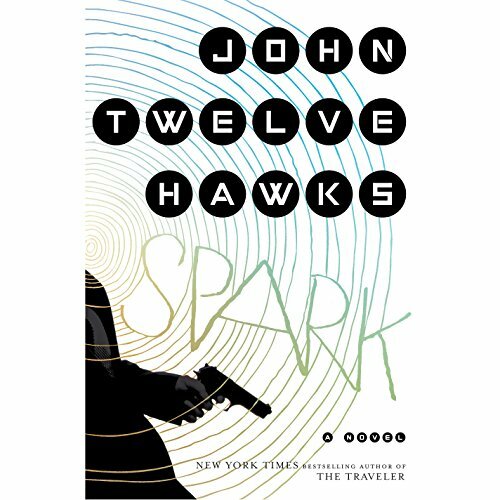 What other book might you compare Spark to and why? Fahrenheit 451. The breaking from conforming to the code of the fire man to one of supporting those who cherish books. At the end of the book when Emily is about to leave with Sean she hugs him and he in turn hugs her. John Twelve Hawks has the ability to intertwine messages of humanity and freedom in a brilliant story that is written which such depth of character and situations. Absolutely loved every minute. Hope there is more to come. I thoroughly enjoyed his first three books. This one did not disappoint. The structure, with flashbacks of memory to provide the backstory, worked very well. Given the subject, some writers could have been strident and preachy, but his being a novelist saved him. 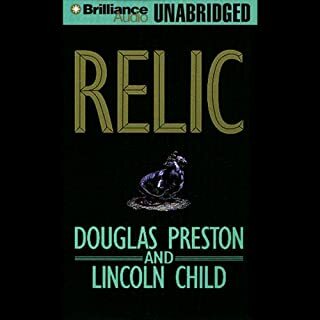 As with his previous books, this was a story about humanity caught in a trap of its own making, but the focus remained on the humanity, not the trap that threatened it; on what it meant to be human, not on human delusions that they were no more than the machines they created in their own image. And Scott Brick, as always, was superb. good book you will enjoy. it is the future...Q? I think everyone will have their own view of what this book says to them. But to me it encapsulates the primal nature of humanity to find connections (look for patterns) and form relationships. Very interesting... having read other books by the author I’d love to sit with him to conversate about some of these ideas!